CH101 attempts to accurately present the data of the early church. How do we know what happened after the New Testament period? We have an enormous amount of documents from the first three centuries written by those who were leaders. It is amazing that we have so many written sources. Unfortunately there are many web sites where you can find all kinds of misleading information on the early church. The early church fathers are not easy to read or understand - not easy to read because they tend to be verbose - they are known to drone on and on. They can be difficult to understand because they discuss issues of the day that are not as clear for us. Like the NT writers, sometimes they refer to things their readers fully knew but the details have been lost in the sands of time. This was the most common question I was asked whenever invited to speak with students on a university campus. This is an important question. The Christian Church has always believed the New Testament documents to be inspired, thus how we came to our current list of writings is crucial. Watch the videos. - How do scholars date the NT documents? - How did the early fathers come up with the listing NT documents? - What were the factors that pushed the early church to come up with this list? - When was the canon list finalized? We try to present the data without making theological or doctrinal judgements - just the information as clearly as possible. There are comment forms on almost every page - we welcome EVERY single serious comment, question or criticism - and we answer almost every single one. The Feedback section is where we sometimes go beyond the basic data and give our opinions. 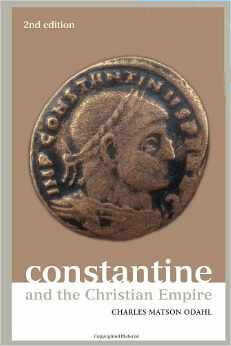 Constantine and the Christian Empire, by Charles Odahl - represents 31 years of research, retracing the steps of Constantine across Europe and the Eastern Empire. The most exhaustive work on Constantine ever published. Numerous CH101 readers have written to me with questions and critical comments about what I have written regarding Emperor Constantine. There is a significant percentage of conservative Protestants who believe Christianity suffered greatly under Constantine. As a young man I was taught that the Catholic Church started with Constantine and this was when Christianity lost its way. While there are some valid points to be made for Christianity losing its zeal and spiritual power, Constantine gets a bad rap in MY opinion. If you are interested in learning more about Constantine I would highly recommend the text by Charles Odahl (to the right) to better decide if Constantine was a Christian or just a political opportunist. "One of the things I was attracted to fairly quickly is the way in which the early writers did not compartmentalize faith as practice and faith as doctrine. They did not separate faith into the intellectual and the spiritual....For these early writers everything was spiritual. All their ethics and all of their theology was driven by their spirituality." 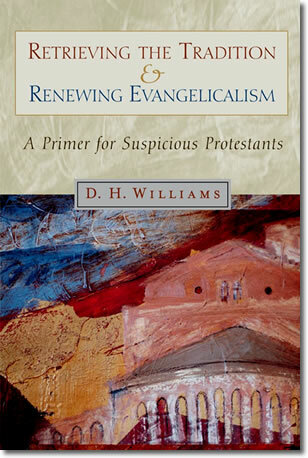 If you are interested in knowing how the history of Constantine has been misreported, I highly recommend my book review on DH Williams, "Retrieving the Tradition and Renewing Evangelicalism." Prof. Williams shows how many Reformers misrepresented the history of Constantine by relying on an 8th century forgery for "facts." I highly recommend his book. 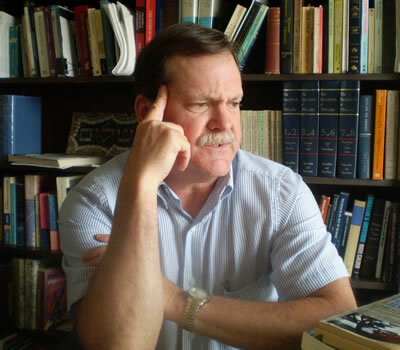 You might also want to read the interview I conducted with Prof. Williams. Who Wrote the Letter to the Hebrews in the Bible? Was it Paul? Why do Christians worship on The Lord's Day rather than on the Jewish Sabbath? Why did the Reformers reject The Apocrypha? Did the early "Christian" schools teach universal salvation? How did Saul have the authority to hunt down Christians? Why do Christians light candles during worship? How did ancient writers refer to the region surrounding the land occupied by Israel? This site is getting attacked by pro-Israeli visitors claiming that our information is inaccurate, some stating that we are purposefully engaging in political propaganda. Read some of these comments/conversations and judge for yourself. "Grace to You," a study in Ephesians using Watchman Nee, "Sit, Walk, Stand." "Contemplative Prayer," a series based on the Brother Lawrence classic "The Practice of the Presence of God." The NT was NOT dropped from heaven. The NT was NOT delivered by an angel. The NT was NOT dug up in a field as golden plates like the Book of Mormon. The NT was NOT suddenly "discovered" in a clay jar with 27 "books" intact like the Dea Sea Scrolls or the Nag Hammadi texts. 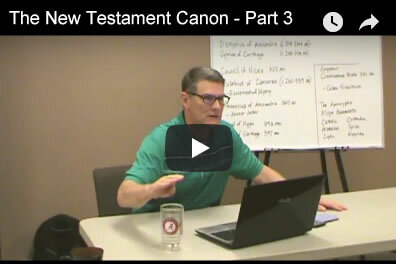 Read "How the New Testament Canon was Formed"